Mexican drug lord El Chapo’s wife laughed as one of his mistresses took to the stand in tears to testify against him. The 61-year-old drug lord, whose real name is Joaquin Guzman, is currently on trial in Brooklyn, New York, facing a 17 count indictment which covers nearly three decades of alleged criminal activities. 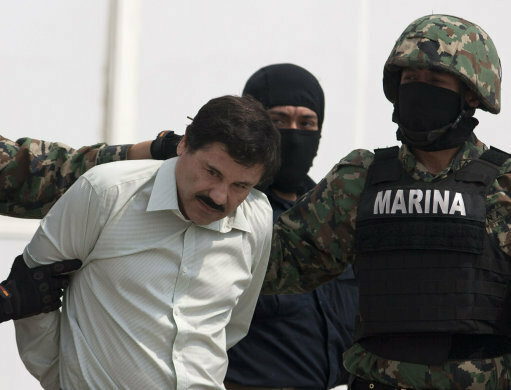 This is the first time El Chapo has been tried in a US court and he has pleaded not guilty to each charge. 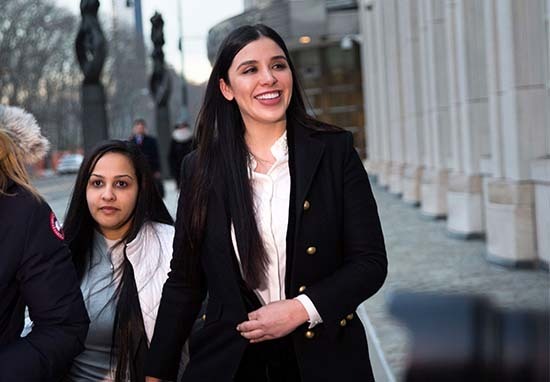 On Thursday (January 17), El Chapo’s mistress Lucero Guadalupe Sanchez Lopez, a politician in the drug lord’s home state of Sinaloa, testified against him in the Brooklyn courtroom. According to The New York Post, Sanchez was taken out of the courtroom as she began sobbing while testifying. El Chapo’s wife Emma Coronel Aispuro, who was sat in the gallery just behind the drug lord, laughed as Sanchez was escorted away from the stand for a break. 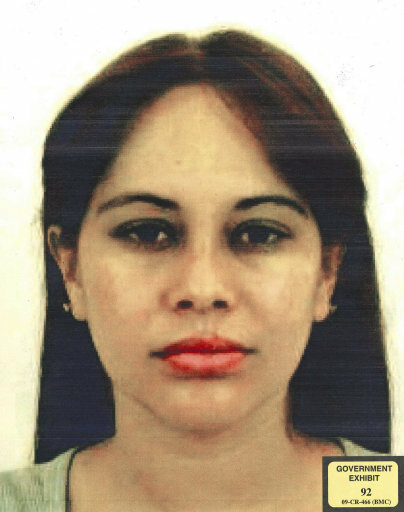 In her testimony, 29-year-old Sanchez discussed her relationship with the cocaine kingpin, stating she first started dating him in 2011 at the age of 21. She said she quickly began working for him in the drug trade, being sent out to states around Mexico to search for high quality marijuana. Sanchez explained she wasn’t paid for her work and added, in terms of their relationship, ‘up until today I am still confused because today I thought we were still involved as partners’. Text messages shown to the court demonstrated the pair mixed business with pleasure. 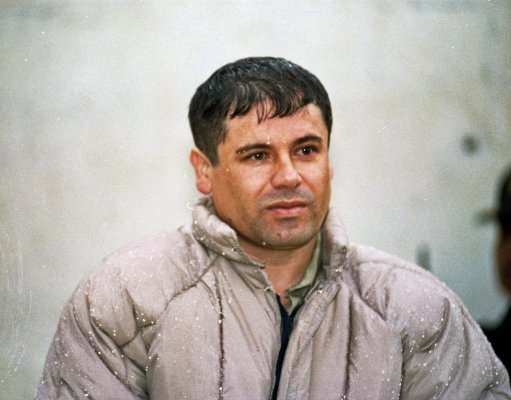 One exchange from January 2012 involved Sanchez telling El Chapo she had marked parcels containing 350 kilograms of marijuana with hearts to send to the drug lord. He responded by saying ‘how sweet’. Sanchez soon began organising money-laundering for El Chapo ensuring front businesses were being run in Mexico, Los Angeles and Ecuador. She then decided to change careers getting involved in local politics being elected to Sinaloa state’s congress in 2013. Continuing her involvement with the drug lord and his world, Sanchez lost her seat when El Chapo was arrested attempting to cross the US border in 2017. While El Chapo was hiding from the authorities, Sanchez bought to him ‘his shirts, his pants, his tennis shoes, his underwear, his lotion’. She described how on the night of February 16, 2014, the kingpin fled naked through a secret tunnel hidden underneath his bathtub when US feds and Mexican Marines showed up to raid one of his hideouts in Culiacan. The two were in bed together when they heard the helicopters and loud thumps. Sanchez escaped via the same tunnel walking through sludge for an hour until she reached a riverbed. El Chapo has been on trial since November 13. With federal prosecutors saying the drug lord directed huge shipments of heroin, cocaine, marijuana and methamphetamine, he could face a potential life sentence if convicted. A jury of seven women and five men will decide his fate when the lengthy trial ends. People have been queuing up outside the courthouse on each day of the trial hoping to get into the public seating area.